An iguana playing soccer? How can it happen? 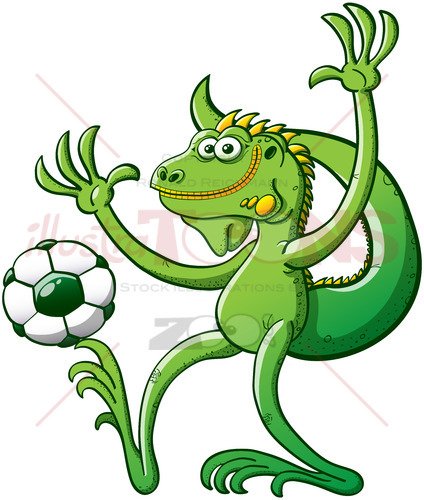 Green iguana having fun when playing soccer. Cool talented iguana executing an amazing stunt consisting on holding a soccer ball with the tip of its toe. At the same time, this iguana is raising its arms, posing and smiling with great satisfaction while keeping balance.